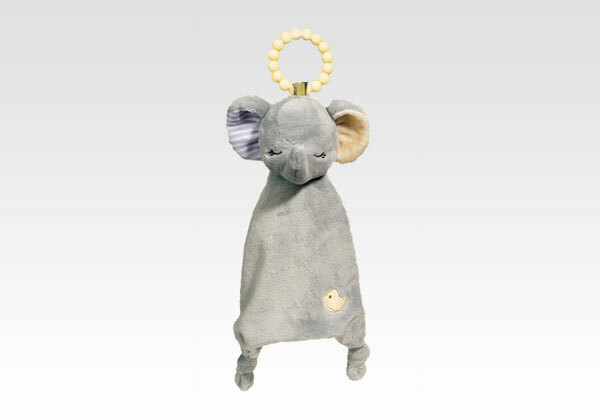 Sweet Little Gray Elephant says chew (and snuggle) away! Luxuriously soft materials of our best-selling Sshlumpie with the added bonus of a teether ring built in! 100% silicone is safe and soothing for baby. Age: Birth and up.